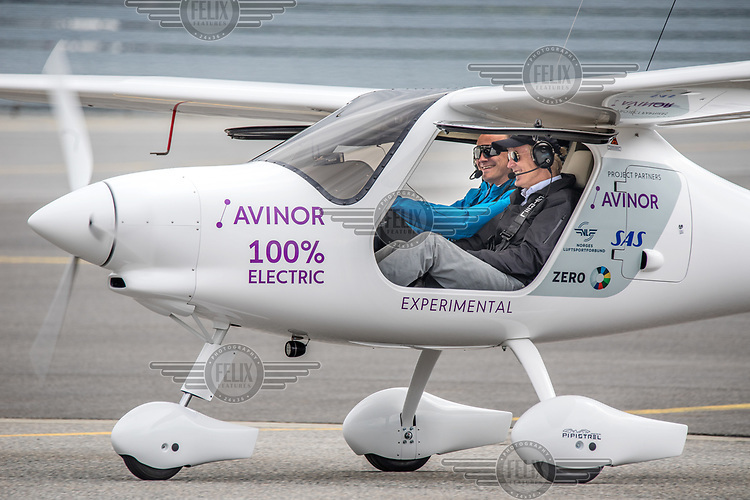 June 18th 2018 saw the first official flight by an electric aircraft in Norway. Civil Aviation Authority (Avinor) CEO Dag Falk-Petersen took Minister of Transport and Communications Ketil Solvik-Olsen for a short flight around Gardermoen Airport. The plane is battery operated and signals a focus on more envorinmentally friendly solutions for the fututre. The project is supported by the government, and the project partners are Widerøe, SAS, the Norwegian Association of Air Sports, and climate foundation ZERO.